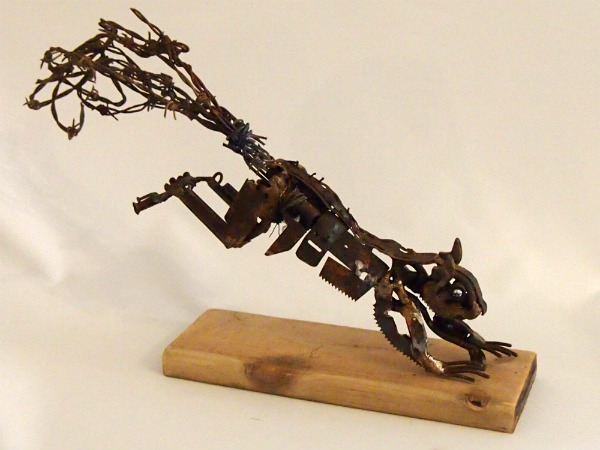 The artwork you see is a black bear made from recycled materials from St. Luke’s charity shop. The photograph I used came with kind permission from Irish-American Photographer Bob O’Boyle. He photographed it in his backyard, and you can see more of his work on Instagram. Like all my work, I carefully match the shapes I see with the ones in the materials I use. I also, closely study the textures, colours, and light till I achieve a best fit.